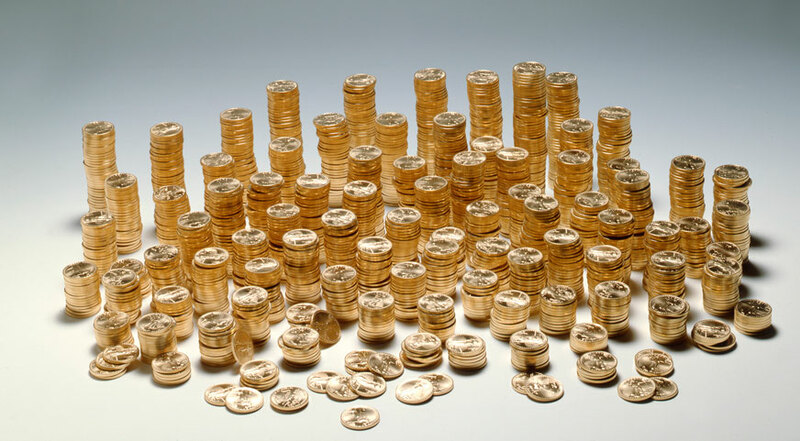 CONTENTS: Ancient Monetary Weights: TALENT, MANEH, SHEKEL, GERAH, BEKAH; TROY Weights; METRIC Weights; CARAT Weights; KARAT Purity; MILLESIMAL Fineness; FAR EAST Weights; British POUND (Sovereign, Pennyweight, Pound Sterling); DOLLAR (Old U.S. Gold Coins); Historical GOLD–SILVER RATIOS; U.S. 90% Silver Coins, Gold/ Silver Eagles; BIBLE Weights (Conversion TABLE); WORLD COINS (Gold Contents). Gold and silver are like no other currencies and no other commodities. Both metals occur in nature worldwide and they do not corrode. The two monetary metals are recognizable, divisible, portable, easy to trade, and very rare — which makes silver and gold natural money. Histories of all great civilizations record the use of silver and gold to facilitate trade. The Babylonians, Egyptians, Hebrews, Romans, Persians, Phœnicians, Assyrians, Minoans, Harappans, Mayans, Sumerians, Greeks, and Chinese all conducted trade with gold and silver. However, societies in the distant past did not use metals in coin form. According to archæology, there were no coins or bars with specified values for 1,000s of years. 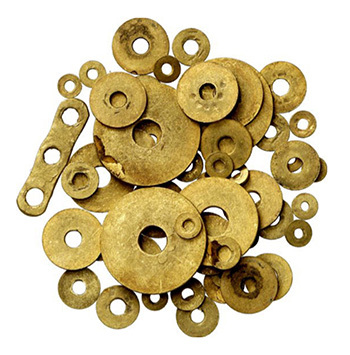 Gold discs from the Indus Valley, c. 1800 B.C. Early on, specific monetary values were not assigned to units of silver and gold. Instead, monetary units were measurements of weight. 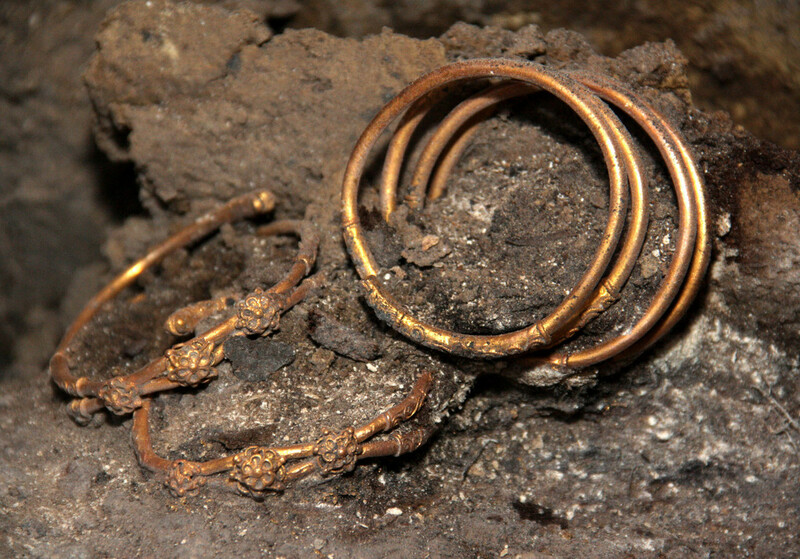 Money was the metal itself – kept in jewelry, rings, bars, and ingots. In the ancient monetary system, any form of gold and silver performed the function of money. International trade flourished because just about everyone determined monetary value in the same way. Nations and tribes measured the value of un-coined gold or silver by placing the metal on one side of a balance and offsetting it with standardized weights. In business transactions, merchants usually did not count the pieces of silver or gold; payments were made by weight. The only reason to add up the money was to make a rough estimate of the weight. Long before the art of stamping coins, the oldest civilizations carried on seamless trade by using equivalent units of mass to weigh money. The weight system for measuring the value of silver and gold was internationally integrated. The Sumerians calculated the value of metals by using the same denominations of weights as the Hebrews and Greeks used (TABLE near end). The GERAH, SHEKEL, MANEH, and TALENT were standard units of weight (not stamped pieces of gold or silver): 3000 shekels = 60 manehs = 1 talent. Herodotus’s Table of Monetary Weights (484 to 425 B.C.) divided 1 talent into 60 minæ. *** More than 1,000 years earlier, the Mesopotamians divided 1 talent into 60 mĕnē (Hebrew maneh). Hematite weights from Mesopotamia c. 1,700 B.C. A different weight system was for non-gold/silver things. Throughout the world, denominations of weights to evaluate silver and gold were interchangeable in commercial exchange (until societies declined). Convertible systems of weights were used by merchants from Tyre, Sidon, Nineveh, and Carthage — with astonishing consistency. and also measures the purity of gold alloys. 120 carats = 1 Troy ounce. KARAT (abbreviated k or kt.) 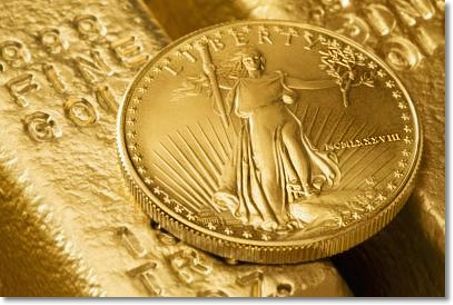 is the spelling used in North America when referring to the purity of gold. Pure gold is 24 karat. All 24 karat gold is bright yellow. Metal mixed with gold changes the color to pink, blue, orange, purple, green, or white. The ancient Troy system of monetary weights probably got its name from the legendary city of Troy in Asia Minor (c. 3000 B.C.). Five thousand years ago, Troy was a powerful trading center because of its strategic location. Twenty-five hundred years later, the famous commercial hub had disappeared, but its monetary system lived on in ancient Rome and Troyes (a city in ancient Gaul). In antiquity, units of time and money were divisible by TWELVE. The system of millesimal fineness is a high-tech version of the carat system of weights. The Latin word for THOUSAND is “mille.” Millesimal fineness denotes parts per thousand of pure metal in a metal alloy. Gold, silver, platinum, and palladium bars are either “cast” (poured) or minted like coins. The stamp on a bar is its “hallmark” of purity. The hallmark indicates who minted the bar and its millesimal fineness. If the mint is well-known and trusted, the numbers on the bar can be taken at face value. If the mint is unknown or considered unreliable, the bar must be assayed. Former standards of purity varied from current standards. The current minimal acceptable fineness for a London Good Delivery Bar [LGD] of gold is .995 (995 parts per 1,000); a bar weighs 350 to 430 Troy oz. A Standard Bar of silver weighs approx. 1,000 oz, and has a minimum fineness of .999 (999 parts per 1,000). Standards of purity vary by geographical region (Dubai 99.9%; Iran 99.5%). 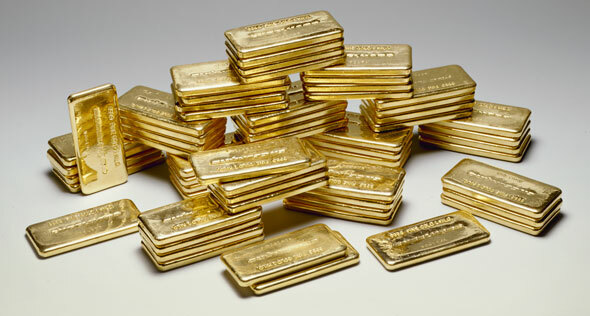 In London and New York, a Standard Bar of gold is 99.5% fine and weighs approx. 12½ kilograms (12.5 x 32.151 = 401.8875 Troy oz). The trend in international gold trade is moving to 99.99% bars (4-nines-fine kilo bars below). Of the 3,000 tons of gold mined each year, every ounce is PRE-SOLD. Since inter-bank lending locked up worldwide on Aug. 9, 2007, most available physical gold has been travelling from the Western Hemisphere to the Eastern Hemisphere: Shanghai, Hong Kong, Singapore, Dubai, Bangkok, VietNam, Turkey, etc. Bullion flows to the Shanghai Gold Exchange indirectly from the LBMA (London Bullion Market Association) via Swiss refineries and Singapore. 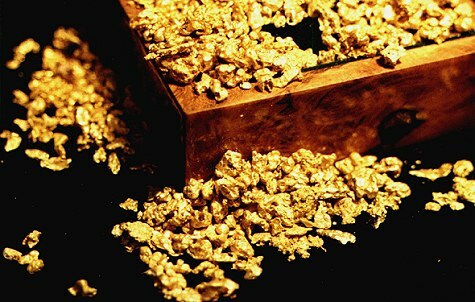 Recently, Russian gold buying has rivalled purchases by China. Hong Kong tael bar nominal fineness is .99 (KIM-THANH). Taiwanese 5 and 10 tael bars can be 999.9 fine (four nines fine). The British POUND -£- was once a monetary unit of weight. A PONDUS (pound) was an old Roman weight used to weigh gold and silver on balancing scales. The symbol for the British Pound -£- is the first letter of LIBRA. In ancient Greece, a “libra” (abbreviated “lb.”) was the beam of a balance, connecting scales for money. From the time of King Æthelberht (550-616), the Anglo-Saxon Tower Pound (Money Pound) consisted of twelve ounces of silver. The primary Anglo-Saxon monetary unit was the silver penny (the SCEAT). In the days of King Offa of Mercia (757-796), pennies were called STERLING because of their consistent weight and purity (92.5% silver). The penny above is from the reign of King Alfred (Ælfred, 871-899). In England as in ancient Rome, the silver penny was MONEY in general. In 1158, Henry II restored the sterling penny to its original weight and purity (925/1000 silver). The symbol for the penny is “d” after the Roman penny DENARIUS. The abbreviation of pennyweight is “dwt.” The weight of the old penny sterling is a universal unit of weight. PENNYWEIGHT is a Troy weight containing 24 grains (each grain being equal in weight to a dried grain from the middle of an ear of wheat): 20 dwt = 480 grains = 1 oz Troy weight. The gold pound is called the Sovereign (from 1817); the exact gold content of the ¼ oz coin is .2354 Troy oz. When silver and gold freely circulated, coins had standard exchange relationships. The gold pound was equivalent to 20 shillings or 240 pence (the sum value of 240 silver pennies). The Pound Sterling was the global standard for sound money until the dollar became the international “reserve currency” (1944 United Nations Monetary and Financial Conference, Bretton Woods, New Hampshire). Originally, the word DOLLAR signified WEIGHT. Dollar was the name for monetary units throughout the world (G. thaler, D. daalder, Dan., Sw. daler, Sp. dalera, Russ. taler). ** The dollar came to Colonial America from Bohemia. The Bohemian coin called the “thaler” contained 451 grains of silver. 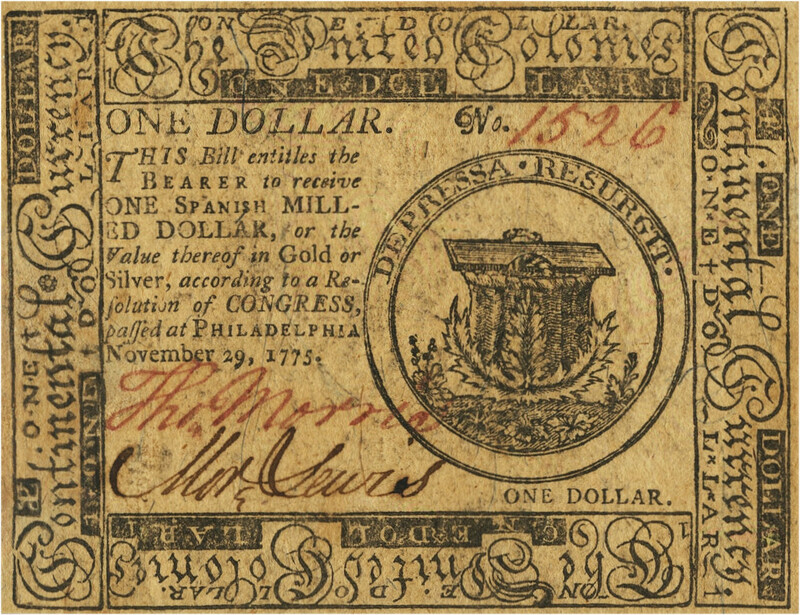 In 1776, the “Continental” PAPER dollar was equal in value to one SILVER dollar (Spanish 8 Reales). By 1779, the Continental dollar crisis reached 47% inflation per month. Congress agreed to redeem the bills at 1,000-to-1: 1,000 PAPER dollars equaled the value of 1 SILVER dollar. The Constitution preserved the Republic and the integrity of the dollar: “No State shall… make any thing but gold and silver coin a tender in payment of debts….” Constitution of the United States of America, Article I, Section 10. The government’s official price of gold was fixed at $20.67/oz (1792); raised to $35/oz (January 1934); raised to $38/oz (December 1971); and the last official price was raised to $42.22/oz (February 12, 1973). Gold is more rare than silver and has always held a higher value. 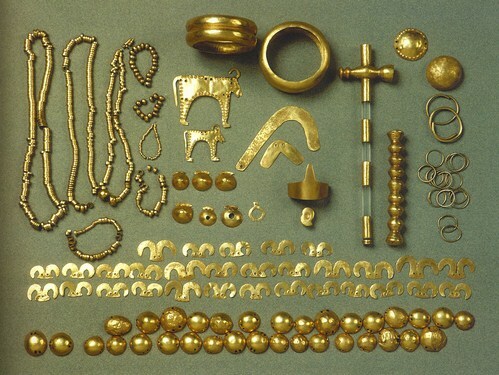 Over millennia, gold has commonly been fifteen times more valuable. Today, the price of gold is eighty times higher than the silver price. This 80-to-1 ratio is an aberration. Monetary history provides a record of the natural relationship of gold-to-silver. According to monetary scholars, the ratio of gold to silver was 2½ to 1 in Egypt under Menes (Code of Menes c. 3100 B.C. ); 12 to 1 when David was King in Israel (c. 1000 B.C. ); 5 to 1 in ancient Syria; 10 to 1 at the time of Hezekiah (c. 678 B.C. ); 13 to 1 in Athens, until Alexander the Great set the relationship at 10 to 1 (c. 330 B.C. ); 12-12½ to 1 in the Roman Republic (c. 509-113 B.C.). In China, the ratio was 4 to 1, then 10 to 1, and 12 to 1; in Japan, it was said the norm was 8 to 1. In Europe, the ratio averaged 10 to 1 from the Greek Testament of the Bible to about 1492; and from 1492 to 1834, the average ratio in Europe was 15 to 1. Napoleon set the ratio at 15½ to 1; England set the ratio at 16 to 1; and in 1792, Congress under President George Washington fixed the ratio at 15 to 1. The gold-to-silver ratio for the entire world came close to historical norms in 1980, briefly touching 16 to 1. In 2011, the ratio was 38 to 1 and dropped to 30 to 1. The ratio of gold-to-silver is now 80 to 1. Take advantage of this anomaly. Today, U.S. 90% silver [pre-1965] halves, quarters and dimes are traded by weight according to the “face value” of the coins. A full ‘bag’ is $1000 face value: 10,000 dimes [10¢], or 4,000 quarters [25¢], or 2,000 halves [50¢]. After melting off the base metal, one bag of “junk silver” contains approx. 715 Troy oz of pure silver. Big coins are less worn from circulation: a bag ($1,000 face value) of old silver dollars contains 765 Troy oz of pure silver. Silver Eagle (first issued in 1987). The Silver Eagle contains 1 Troy oz of silver (no copper alloy). 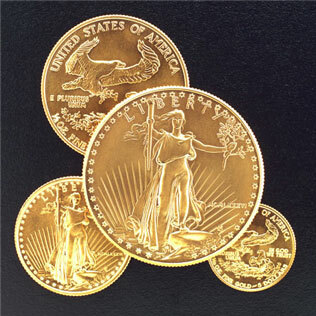 The 1 oz American Gold Eagle contains 1 Troy oz of pure gold. Gold and silver coins are usually “alloys” (90% pure). The mixture of gold or silver with base metals strengthens coins for circulation. For example, the new American Gold Eagle contains 1 Troy oz of pure gold, but weighs 1.1 oz. the money in the balances.” Jeremiah. of silver, current money with the merchant.” Genesis 23: 16.
hands of ten shekels weight of gold.” Genesis 24:22. The TALENT was a standardized WEIGHT used to weigh money in several Biblical accounts. The Hebrews reckoned by talents as we do by pounds. The word “talent” signifies weight or balancing scales. Gold and silver were weighed on a balancing scale called a TALANTON (ταλαντον). “Just balances, just weights, shall you have.” Moses. “A false balance is not good.” Solomon. The table below does not apply to non-monetary commodities. GERAH (grain, kernel, bean) was the smallest weight. BEKAH (to break, to divide) was a fractional weight. “A bekah for every man, that is, half a shekel, after the shekel of the sanctuary, for every one that went to be numbered….” Exodus 38:24-26; c. 1491 B.C. MANEH (number, part, portion) meant to number, to measure out, to weigh. This standardized weight was translated in the English Bible as POUND. “…I have prepared for the house of the Lord an hundred thousand talents of gold, and a thousand talents of silver….” I Chron. 22:14; 1017 B.C. MONEY is a measure of value. The ancients numbered value by weight: Latin MONETA, Greek MNÁ, Hebrew MANEH, Babylonian MENĒ. That night, the Kingdom of Babylon was given to the Medes and Persians. The Persian Prince Cyrus (God’s anointed) freed Judæa to rebuild the Temple in Jerusalem. “Belshazzar” by composer Georg Friedrich Händel dramatized the fulfillment of prophecy concerning Cyrus [Isaiah Ch. 45; 712 B.C.]. Between 1,792 and 1,750 B.C., the King of Babylon measured the value of silver and gold by the shekel (The Code of Hammurabi). *** Phœnicia used the shekel 1,000 years later. King Sennacherib used the shekel to weigh money in Assyria circa 700 B.C. The Greeks and people influenced by the Greeks in Asia Minor started using coins as early as the eighth century B.C. 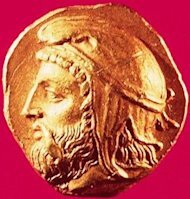 According to Herodotus, the Lydians were the first to mint coins. *** Persia began using coinage about 500 B.C. It is estimated Carthage, Sidon, and Tyre started using coins sometime between 425 and 400 B.C. 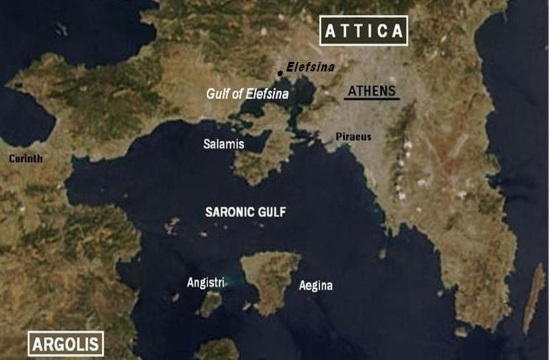 According to Herodotus, Aegina was the site of the first European mint. The silver mines on the island of Siphnos supplied the raw material for great numbers of Aeginetan staters from the 6th century B.C. The Aeginetan mint used Babylonian and Phœnician weights as standards. *** Three Attic AUREI were equal to one Homeric gold talent. Coins bore the likenesses of rulers and gods, but did not specify monetary values until much later. Gold [Au]: L. aurum, aurate; Heb. א ו ר light, fire, to shine. Silver [Ag]: L. argentum; Fr. argent money; Gr. αρλος white. The Romans had no coined money before King Servius Tullius began minting coins between 575 and 535 B.C. * Until that time, rude bars of silver, bronze, and gold (without stamp) performed the function of money. One PONDO (pound) was divisible by twelve: 12 Troy oz = 5,760 grains = 1 Troy pound. The silver coins above were units of WEIGHT (Roman Republic DENARII, c. 211-41 B.C.). The shekel became a coin denomination, rather than a weight, during the Second Temple period in Israel. The Maccabees and the Hasmonean Dynasty produced coins impressed with stamps indicating weight and fineness of the metals beginning between 141 and 110 B.C. (coins rarely had dates). In Jerusalem, Israelites were required to pay a Roman tax with Roman coins (depicting Roman gods), but offered Hebrew coins in the Temple (below). 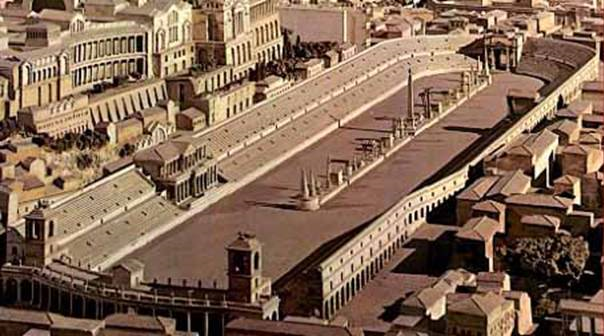 POLITICAL CHRONOLOGY OF ROME: 753 B.C. MONARCHY; 509 B.C. REPUBLIC; 113 B.C. DEMOCRACY; 27 B.C. EMPIRE; DIVIDED A.D. 476. 2,500 American Gold Eagle coins (1 Troy oz each). Current value approx. $3.375 million. * Adam Smith, LL.D., An Inquiry into the Nature and Causes of The Wealth of Nations (Of the Origin and Use of Money; Variations in the Proportions between the respective Values of Gold and Silver), Harvard College Library, Vol. 1, pp. 16, 30, 150, 153,178, Eleventh Edition printed for Oliver D. Cooke, Hartford, 1811. ** Definitions of monetary terms by Dr. John Arbuthnot are from a facsimile edition of Noah Webster’s 1828 American Dictionary of the English Language (permission to republish granted to FACE, Chesapeake, VA by G. & C. Merriam Co., 2016). In 1828, “MONEY” and “MINT” were essentially the same word. *** HERODOTUS: Being Parts of the History of Herodotus by John S. White, LL.D., Copyright by G. P. Putnam’s Sons, The Knickerbocker Press, New York and London, 1884. **** “Reports in Reference to the Adoption of the Metric System,” Secretary of the Treasury to the Committee on Coinage, Weights, and Measures, House of Representatives, Government Printing Office, Washington, 1878 (Library of the Univ. of Michigan). Creating Economic Order – Record-keeping, Standardization, & Development of Accounting in Ancient Near East, by A. Mederos and C. C. Lamberg-Karlovsky, Institute for the Study of Long-term Economic Trends, International Scholars Conf., Ancient Near Eastern Economies, Vol. IV, British Museum, Nov. 2000. The Popular and Critical Bible Encyclopædia and Scriptural Dictionary [in three volumes], Edited by Samuel Fallows, A.M., D.D., LL.D., Howard-Severence Co., Chicago, Illinois, 1922. Bible Cyclopædia, Critical and Expository, written by Andrew Robert Fausset, M.A., Rector of St. Cuthbert’s Rectory, York; S.S. Scranton Company, Hartford, Conn., 1905. A Dictionary of the Bible by John D. Davis, Ph. D., D.D., Professor of Semitic Philology and Old Testament History, © 1901 by the Trustees of the Presbyterian Board of Publication, Princeton Theological Seminary, New Jersey, Westminster Press, Philadelphia, PA, 1898.
what are prices comparison of gold in India, USA and South Africa. Very educational…. thank you. I have an interest in buying in the future. Take delivery of actual coins when you can. Strange things are afoot; and anything could happen in the paper markets.